I have some beautiful Emily de Molly shades to share today. I know. This is one of those brands that was a major gateway drug into the world of indies for me, and one of my favorites to oogle. I don't even have words for these polishes, you'll just have to see them to believe. 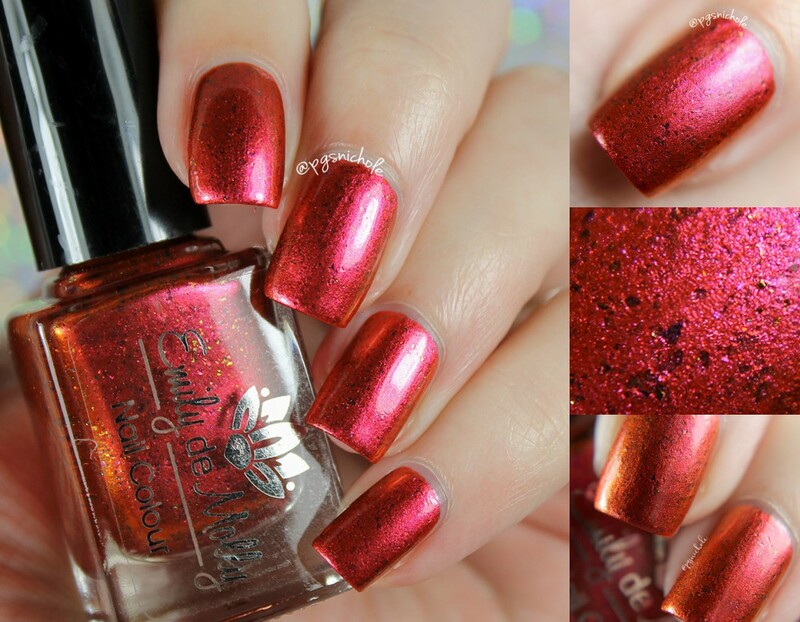 This is a glowing orangey-red duochrome filled with multichrome flakes. It seems to have a metallic pink flash as well that will never be accurately captured by any sort of camera. Try this (when you get it): while sitting in a room with only a task lamp on, move your hand towards and away from the light. Yes...I know people will laugh. Let them laugh, the fools! You will see the pink underbelly go from warm to cool. Yes it is crazy. No, I don't care. Now where was I? Oh yeah, polish reviewing...the formual is wonderful Just thin enough for the polish to flow from the brush, but thick enough to keep the flakes from being dragged away. I used two coats here, plus a layer of Seche Vite. 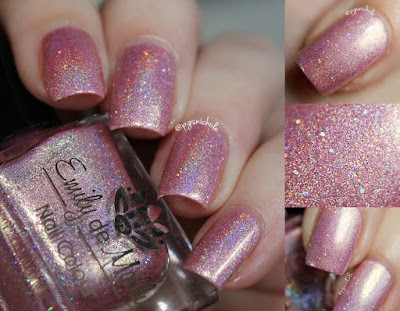 This is an icy, delicate cool pink linear holo that was set on fire with holo glitter and pale green-gold flakes. For a pink, I actually love and adore it. There is something very...satiny about this one. And princessy...but without being saccharine. It is a tricky beam to balance on. I think the pale green flash really helps temper that frilly pinkness. The formula was a dream to work with, and I used two thin coats plus a layer of Seche Vite for these pictures. 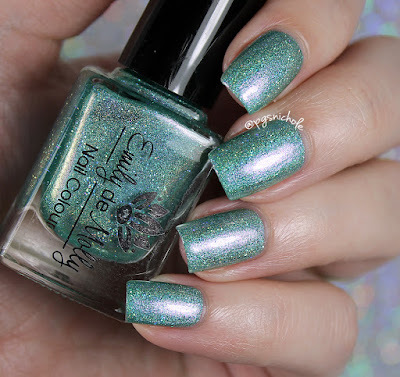 This is a warmish seafoam green linear holo. It is the fresh sister to Another Time (above). It feels very springtime to me, which is a nice palate cleanse in this season of inky vamps. I am definitely thinking of ways to pair it with its sister, but somehow bring it fully into the Fall. Expect to see this luminous gem again soon. The formula is wonderful on this one too, and I used two coats plus a layer of Seche Vite here. Time for the jelly-cream formula that we have all been waiting for. 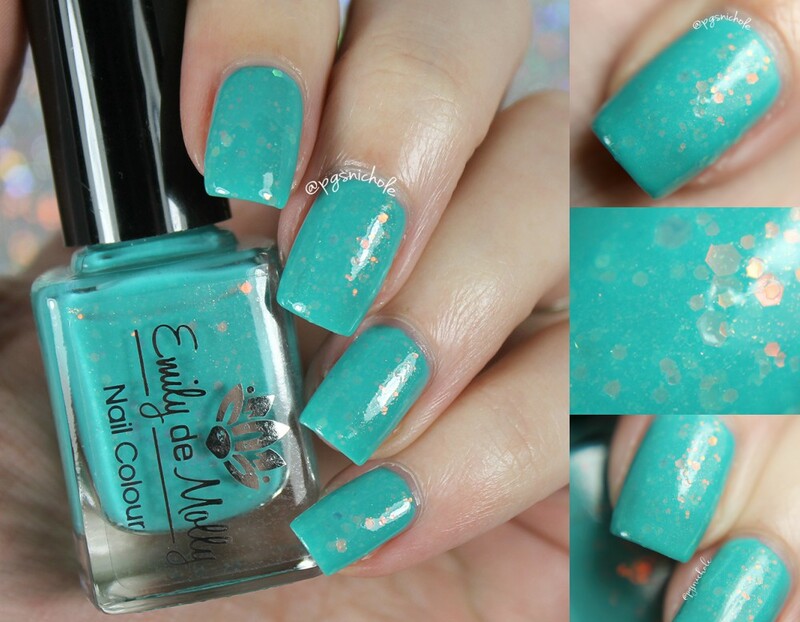 This vivid robin's egg blue shade is filled with iridescent glitters and shimmers of all sizes. It reminds me of the rays of a sunset dancing over a tropical bay. I love this brilliant shade, and the formula was just as nice. I used three coats plus a layer of Seche Vite here, and my only lament is that I am fresh out of matte topper. These glitters are calling for matte. Hello shifty! 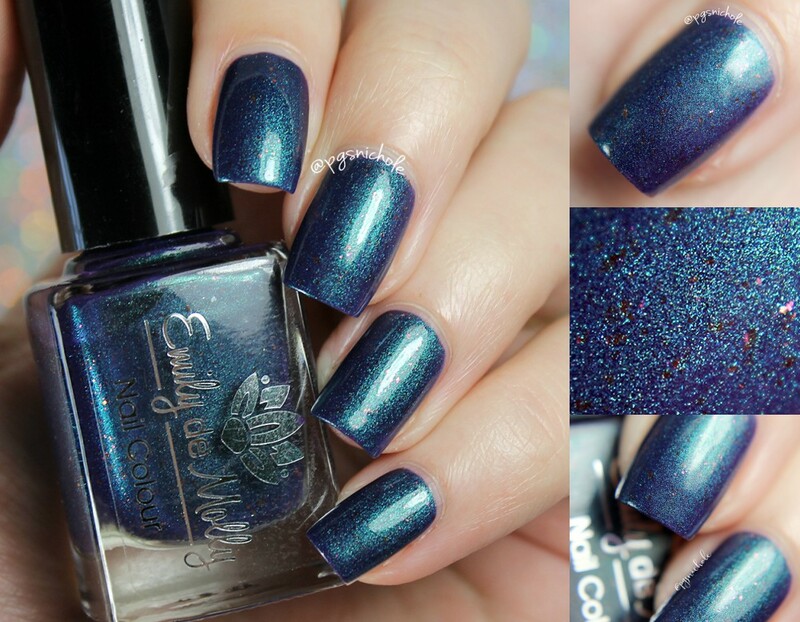 This deep, moody violet is filled with a dense teal shimmer and rosy gold flakes. It is definitely the most regal shade I have seen this Fall. I get a very "Queen of the Dark Side" vibe here, and I like that. The formula was fluid and delicate, and so easy to work with. I used just two coats plus a layer of Seche Vite for these pictures here. Rarely have I seen a polish that more closely resembles a stormy sky. This dusty cornflower jellyish is filled with more iridescent glitter than I could count in one afternoon. It applies so deceptively smooth that you will think that the glitter is actually an illusion. I used two totally normal coats plus a layer of Seche Vite here. I still can't believe how smooth this glittering glitter-bomb is, yall. 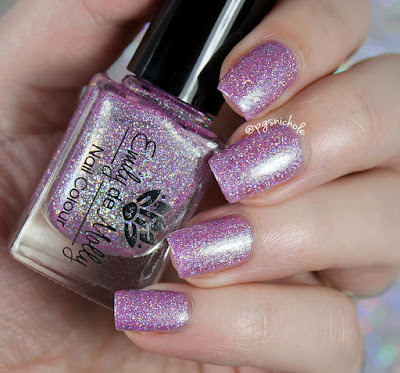 Finally, the most blinding orchid super holo thing I have touched in months. 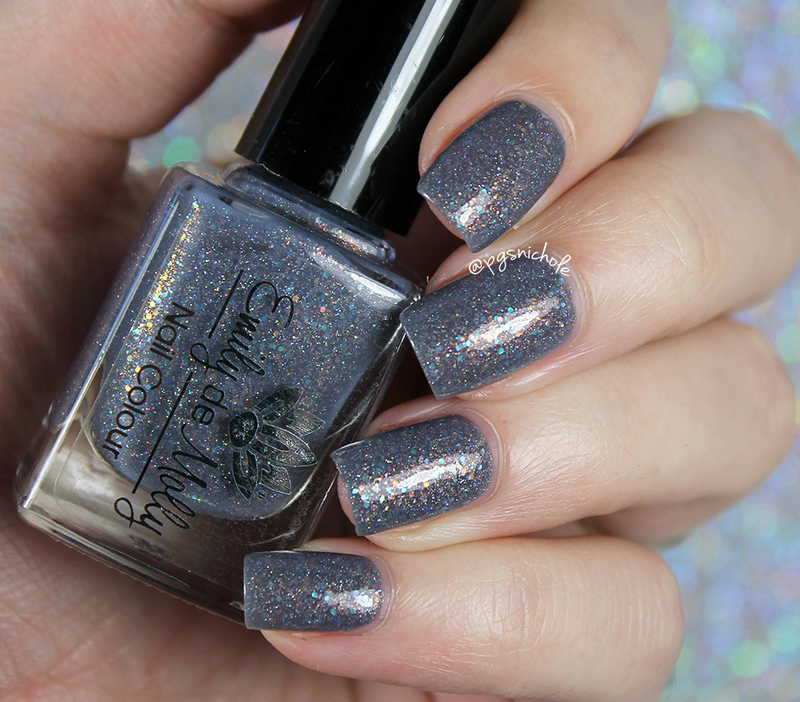 Not only is this crazy holo, but it also has holo glitters, a soft platinum shimmer and maybe even a greenish flash here and there. I am drawn to shades like this...hell, I'm even wearing a shirt with various tones of orchid just like this. (yes, sometimes I don't wear black) The formula was terrific here, and there was no texture from all the glitters. I used two thin coats plus a layer of Seche Vite, and I was left with a perfectly glossy shine. Definitely the best dressed here. So what did you think of these stunners? Do you have a favorite? I love and adore Best Dressed Guest, but Twenty Second Dynasty calls to my goth-leaning heart. And really, you can never go wrong with a sultry shade like Over Drive...but then sometimes you want something poppy and bright like Firey Calm. Yeah...I'm not helping am I? 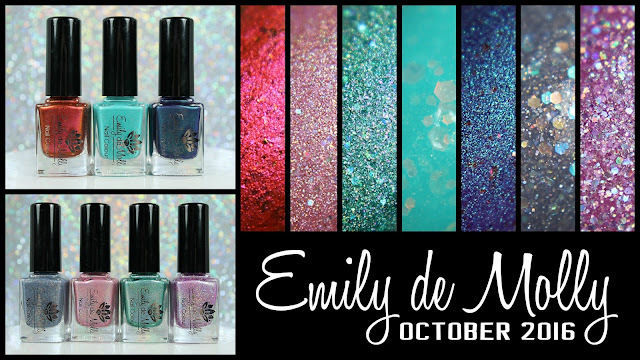 These shades went live last night at 6pm EDT in the US store, and they will be available today in the Australian shop. Stop making me want to buy stuffs!!!! Fiery Calm and Before the Storm need to be mine!! Every single thing you swatch! I need them all! False destiny!!!! Ohhhhh me oh my, so gorgeous! 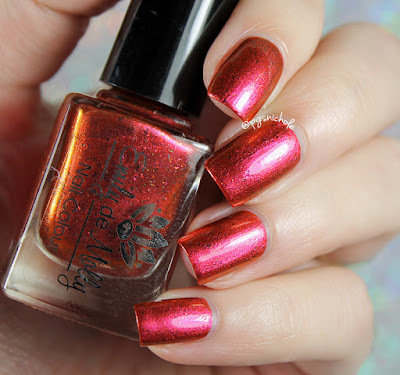 I looooooove Fiery Calm, but they are all GORGEOUS! Beautiful! I definitely don't have enough EdM in my life! I can't pick a favorite. It's not even a possibility. I think I need them all. I don't have any EDM, and now I neeeeed Before the Storm. I love those kinds of gray! I'm loving Best Dressed Guest! Yup, these are coming to live with me! I love Fiery Calm!!!! Gorgeous swatches as always! These are gorgeous! I actually don't own any polishes from this brand, but I've always swooned over them! I don't owns any EdM but all of these are gorgeous! So all of the polishes are simply stunning, but Over Drive seems extra special. So unique and pretty! Your swatches always make me love everything woman! I totally need like all of these.